After 2010 film “Guzaarish”, Hrithik Roshan’s latest film “Mohenjo Daro” also remained unsuccessful on box office. Bollywood star Hrithik Roshan is among the top ranked actors of Bollywood who has performed in several blockbuster films while his films make good business on box office due to which every producer wants to cast him in his film but now the biggest film of the super hero of Bollywood has flopped. Film “Rustom” of Akshay Kumar and film “Mohenjo Daro” released simultaneously on box office but film viewers liked the film “Rustom” which has earned more than 90 crore rupees in 7 days while Hrithik Roshan returned in the film world after 2 years with film “Mohenjo Daro” but the film remained quite unsuccessful and it could earn just over 50 crore rupees. 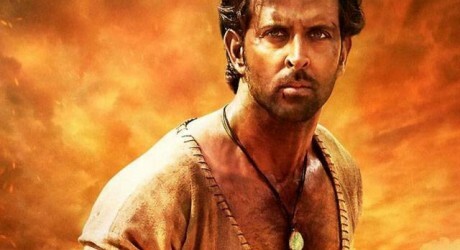 The fans criticized not only the story of film “Mohenjo Daro” but they were also with the acting of Hrithik Roshan and they expressed their dejection over his weak acting. It should be cleared that Hrithik Roshan and Aishwarya Rai’s 2010 film “Guzaarish” also remained unsuccessful.